This historical city was the first capital of Sri Lanka and was founded by a King’s minister during the 4th century B.C. The Sacred Bo Tree in Anuradhapura, also known as the Sri Maha Bodhi is the most popular historical Sri Lanka tourist attraction here. Additionally, the city is home to magnificient Dagobas (Temples) such as Ruwanweli, Lankarama, Jetavana, Abhayagiri, and Mirisaweti. An ancient Temple known for its beautiful stone carvings is the Isurumuniya while the Samadhi Buddha Statue is an exhibit of excellent sculpture work. 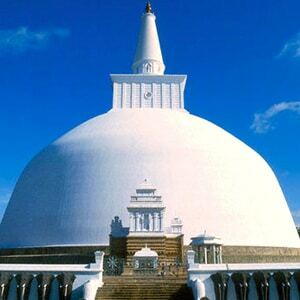 Many Kings ruled in this ancient city of Anuradhapura which is now named as a UNESCO world heritage site. Another UNESCO world heritage site is the fortress of Sigiriya and is one of the most popular places to visit in Sri Lanka. 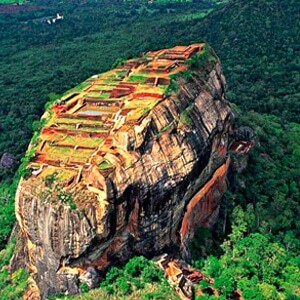 On top of the Lion’s Rock is a palace built by one of the ancient Kings of Sri Lanka. During your climb you will see well preserved frescoes engraved into the rock a Lion’s Paw which is the entrance to the palace. 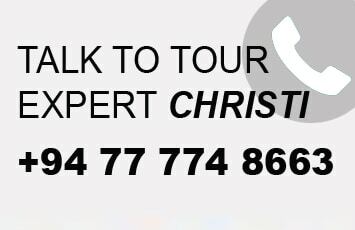 Once you reach the top you have a breathtaking view of the cultural triangle of Sri Lanka (Anuradhapura, Polonnaruwa and Dambulla) as well as the remnants of the ancient Palace. Dambulla is a large city, situated in the Matale District, Central Province of Sri Lanka, situated 148 km north-east of Colombo and 72 km north of Kandy.Dambulla should be on your list of places to visit in Sri Lanka as it is an important location for Buddhist pilgrimages and tourists. It is home to the largest cave complex in the country. Enclosed within a 160m high rock, the cave temple consists of several statues and paintings that depict the religion of Buddhism in a very basic level and can awe a viewer at first sight. With 153 Buddha statues in this cave complex, it is named a UNESCO world heritage site. 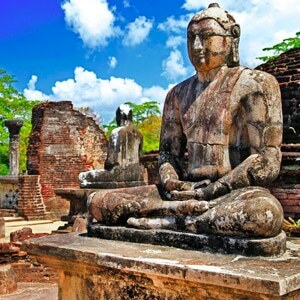 Polonnaruwa is the second largest kingdom of Sri Lanka. Till today, this ancient city is known as one of the best planned archealogical relic sites in the country that stood as testimony against the discipline and greatness of the first rulers of the kingdom of ancient Sri Lanka. 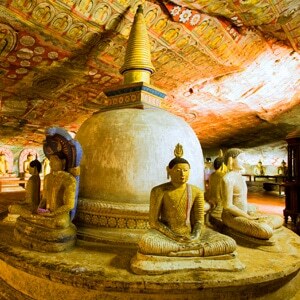 The popular Sri Lanka tourist attractions here are the Lankathilaka Temple and a massive stone statue of Lord Buddha. No. 576/A, Colombo Road, Kurana, Negombo, Sri Lanka.